I’ve been taking a few days to just be mamma and enjoy my family!! Miss A’s birthday was special and sweet. She loved her new quilt. Thanks so much for all the kind comments on it. Anyway, I just couldn’t stay away from my sewing room for too long, and mysteriously found myself back in there last night :-). I made another block for Boston! I found some strips I had sewn together ages ago and decided to play around with them. I think the colors are a bit bland and old fashioned (something about them is just so….. 1995- or something) together, so I’m not sure where I’ll take this one. Something about it makes me want to keep it around for a bit, just to contemplate! 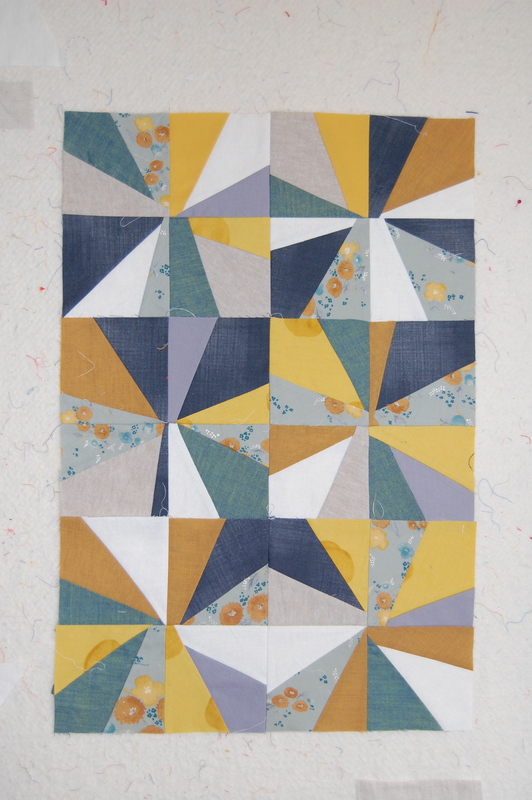 Speaking of color combos I’m not sure about, here is another project I decided to take another look at. 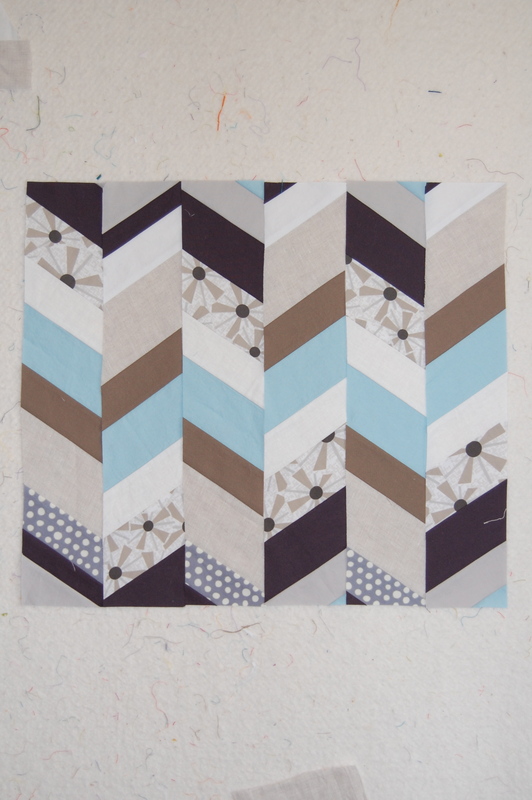 I really enjoy making these liberated pinwheels or whatever the current word for this block is…. they are fun and fast, oh and very liberating!! 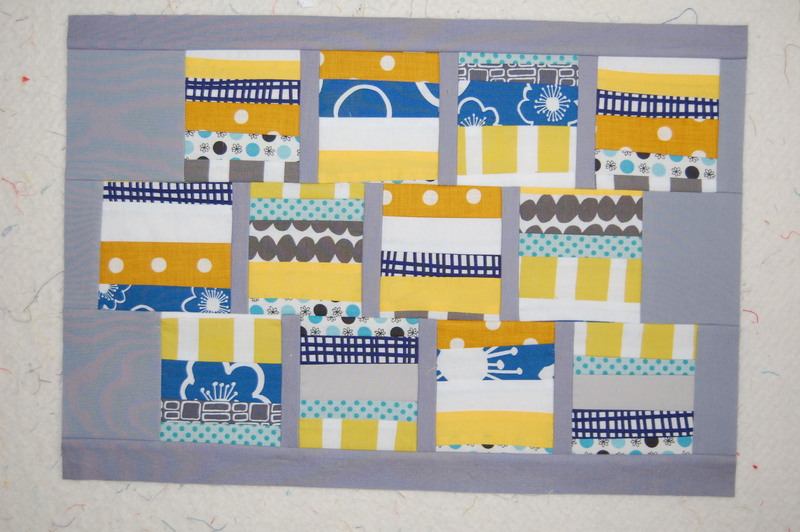 I completed two more blocks and really think they could be great together with a large grouping. I’m going to keep going on this one!! I have a new design on the wall that I’m loving but finding quite challenging, so that will have to wait for another post! Right now I’m just having fun playing with these random blocks and colors and seeing what develops!! How about you all? Linking up to Lee’s WIP Wednesday!! Hope your week is great so far!! I LOVE the colors on the bottom block. And the lone multi-colored print that ties them all together. Love the liberated pinwheels! I would definitely keep going! I like all your blocks but really love the pinwheels! Love you liberated pinwheels blocks. Looks like something I’d enjoy making! The pinwheels look like fun. I’m making blocks for Boston right now too. The pinwheels sure look like fun! I love those greys and blues together! That is my favorite block of the three! I need to make some liberated pinwheels, they’ve been calling me for awhile. Lovely quilts. I see you’re a Lotta fan!